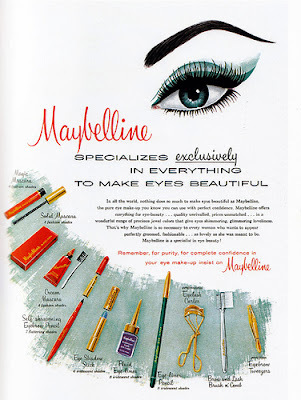 THE MAYBELLINE STORY : MAD MEN'S NEW CLIENT IS MAYBELLINE. MAD MEN'S NEW CLIENT IS MAYBELLINE. 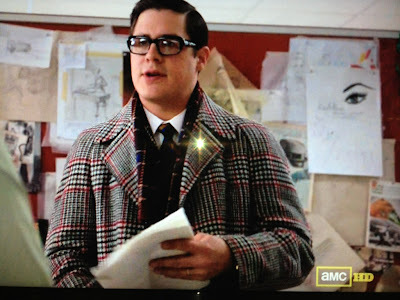 I was watching Mad Men last night and noticed what looked like a Maybelline ad up on the 1966 bulletin board at Sterling Cooper Draper Pryce. 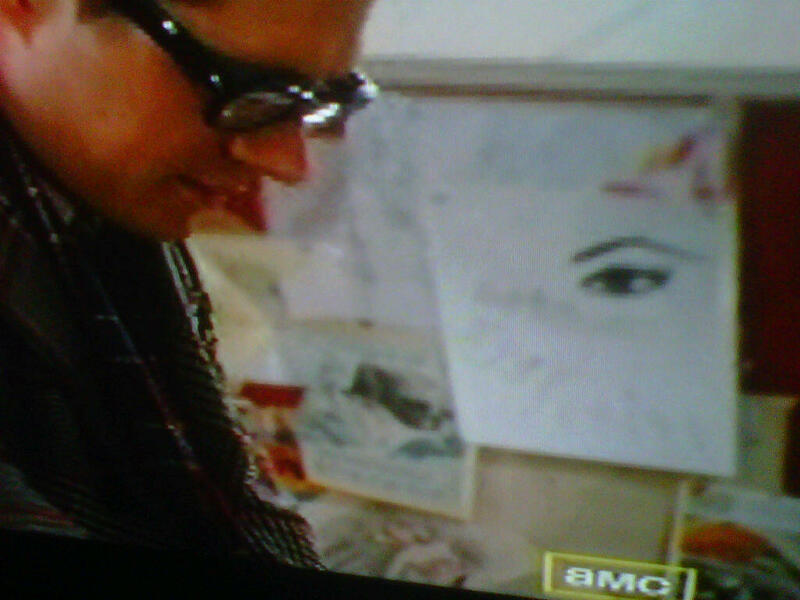 I paused the TV and yes it was in fact a very recognizable ad from 1962 before Ultra Lash was presented in 1964. Here is the actual Maybelline ad used on the show. Maybelline's advertisements were handled by a Chicago based agency called Post Garner Keys and the agent's name was Rory Kirkland. There is quite a bit written about Kirkland and the agency in my book, The Maybelline Story. Here is another similar Maybelline ad. Tom Lyle Williams, Maybelline's owner, sold Maybelline to Plough Inc. in December of 1967. I was just amazed to see this ad on Mad Men and am so happy I just happened to catch a glimpse. Mad Men is set in the 1960s, initially at the fictional Sterling Cooper advertising agency on Madison Avenue in New York City, and later at the newly created firm Sterling Cooper Draper Pryce. The focal point of the series is Don Draper (Jon Hamm), creative director at Sterling Cooper and a founding partner at Sterling Cooper Draper Pryce, and the people in his life, both in and out of the office. As such, it regularly depicts the changing moods and social mores of 1960s America. Mad Men season 6 starts March 7 2013.